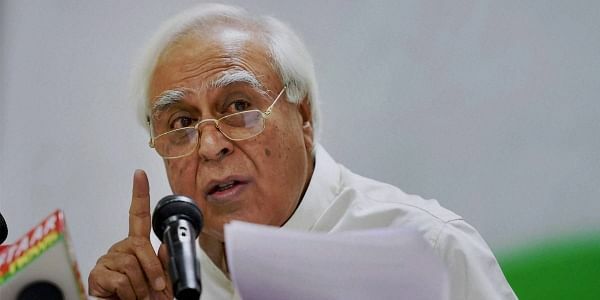 US credit rating agency Moody's upgrade of India's ranking is in sharp contrast with the mood of the people, senior Congress leader Kapil Sibal said today. NEW DELHI: US credit rating agency Moody's upgrade of India's ranking is in sharp contrast with the mood of the people, senior Congress leader Kapil Sibal said today. Without naming the government, Sibal said it should worry about the "loss of livelihood of millions" during its tenure rather than basking in the glory of the upgrade. Taking to Twitter, Sibal said the agency talks about "sunshine tomorrow", while people are worried about the "dark clouds" of today. "Contrast the mood at Moody's with the mood of the people. While you bask under their upgrade worry about livelihood millions have lost," he tweeted. US-based Moody's yesterday upgraded India's sovereign credit rating by a notch to 'Baa2' with a stable outlook, citing improved growth prospects driven by economic and institutional reforms. The rating upgrade comes after a gap of 13 years Moody's had last upgraded India's rating to 'Baa3' in 2004. In 2015, the rating outlook was changed to 'positive' from 'stable'. The 'Baa3' rating was the lowest investment grade -- just a notch above 'junk' status.